Technology has a short shelf-life. We know this. But is there a plausible alternative to SEO than site-based rankings? Apps have been rattling around for a few years now, and they are starting to make a noise. With the onset of deep indexing in apps, it could be quite possible that eventually search could take on an entirely new concept. It certainly gives online marketers something to think about! App indexing is already showing in search results. And Google enhanced app results with a new function earlier this year which gives apps the same priorities as websites. If you already have an app then app optimisation should be a fundamental part of your mobile seo strategy. The meteoric rise of smart mobile technology presents dozens of opportunities to online business owners – so much so it is becoming almost unthinkable for companies not to have an app. But with over 2.5 million apps in circulation, the competition is fierce and is not going to be a digital marketing solution for all-comers. It is thought that on average, mobile owners will download 26 apps, most of which are free or included on their phone. We should probably quarter this number in terms of apps mobile users will purchase even for a small price. Before you consider designing an app for your business therefore, not only do you have to consider whether an audience will be interested in what you lay on the table, but whether you will charge a purchase fee or offer it for nothing. Why might your customers use apps? The principle reasons for downloading apps are to access discount coupons, solve problems, better web experience on mobile devices, boost productivity, or entertainment – usually video games. The gives companies a starting point, and it depends on the nature of your business which type of app, or apps best suit your business. If any at all, of course. You also need to consider whether an app is an upgrade on the user-experience you already provide for your customers, and whether mobile users will get any benefit from downloading an app. According to localytics, 20 per cent of apps downloaded are used on just one occasion. If users do not find your app of any use, you could be damaging your brand reputation and turning customers away rather than bringing them in. What are the benefits of apps for businesses? With the increasing number of people owning and relying on mobile devices to browse the web, businesses have a prime opportunity to connect with customers and develop a special relationship with them. Apps are a huge steps towards achieving that goal in the virtual world, which can sometimes feel detached. If your customers need an app, they will use it. But don’t build an app just for the sake of it. Providing marketers are following search engine protocols for standard app indexing, apps launched by businesses will appear in search engines just like your website does. The rise of apps raises the question as to whether online businesses will need a website. It’s a valid question that could conceivably become a reality in the not-too-distant future. But that’s a long way off just yet. Apps work alongside websites, but have the potential to offer businesses improved visibility in search rankings. Apps are often less expensive to build than enterprise websites and - when built well - can offer users better information and interaction. At the moment websites are more versatile and hold more information. Apps though are proving to be more convenient for consumers, especially mobile users. Deep linking in apps enables customers to open specific interfaces of an app they need to use. And apps are specifically designed to perform certain tasks or provide precise information. They typically have less content that confuses search engines and readers do not typically have to navigate an app to find what they are looking for. Apps therefore represent convenience and speed – two major factors in the minds of mobile users. If your app answers questions that are directly related to search engine queries, it is possible that Google may give apps priority over websites. Therefore apps give businesses the potential to improve their online authority together with search rankings for both the app and their website. Early this year Google started indexing apps for Android users that had signed up to a branded app. A couple of weeks ago the search engine giant extended this ranking signal to include all Android users whether they have used an app or not. When apps appear in search engine results, users have the option to download them immediately using the fixed app install button. This latest development could have benefits for companies developing mobile apps. Or could it? Search engines put an emphasis on user-experience and apps provide a solution for brands to connect with consumers in an interactive way. When users download apps to their mobiles you can have direct engagement with them. For users apps can be a valuable tool – providing the information you give them is useful for every day or frequent use. The mistake many brands make is they build an app users easily lose interest in. You can also use your app to make the purchasing process easier. Furthermore, you can take advantage of direct engagement with subscribers by using your app to handle customer services, feedback and complaints. Now Google is including apps in its ranking factors, they can be a great way to drive traffic to your site and raise brand awareness. Even better news for companies developing apps is that the ranking factors can be linked to your website. There is of course a snag. Before your app ranks in search engines you have to receive engagement and interest from users. Indexing and ranking apps works exactly the same way as ranking pages content. The good news however, is that you can notify Google of corresponding content in your app that also features on your website. Therefore if your webpages are ranking well, your app will automatically rank well also. So don’t forget to include deep links between your app content and on-page content. News on the Google vine is that apps designed for iOS will also feature in mobile search results for Apple users. Google is clearly making its intentions known for mobile. At the moment everything Google does is designed to make search more engaging for mobile users. And that means you should too. And mobile users love apps. Although apps do offer many benefits for online brands, they are not always a good fit for every company. The most successful apps provide useful information that people want to tap into on a regular basis. Therefore, unless you can fulfil the needs of mobile users with an app, think twice about building one just because they appear in search results. They will only appear in search results if they have any merit to be ranked. And that can take time if your website is not already ranking well. 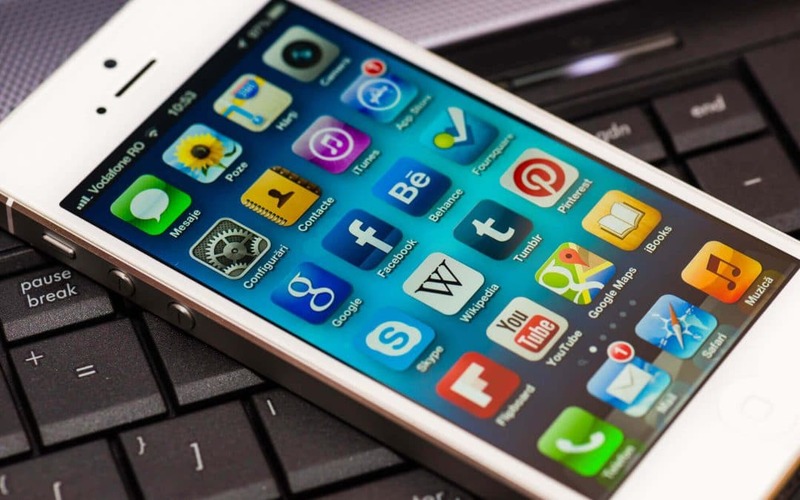 Apps are the new frontier for digital marketing. But if you are going to invest time and money into building an app, you also need to include deep link and indexing permissions to search engines. If you think of your app as a mini website, the concept of improving the discoverability of your app becomes much clearer. Essentially, there are around 3 million apps hosted by Google and Android and they are placed in a ranking system. Therefore, if your app is not ranking well, users do not find it and nobody buys it. You have then wasted your time and money building an app in the first place. Apps have to be included as part as your SEO strategy. What is indexing and deep links? If you don’t already know what indexing and deep links are, allow me to explain. If you do, skip this part and get to work indexing and deep linking your apps! Indexing is a function performed by Google bots to categorise your app. Search engines need to crawl your website so they can file it and match content on any given page to the search terms of end users. It works the same way with apps. Therefore, if you do not allow search engines to crawl your apps, they cannot itemise the content. Your app will therefore not appear in app store rankings, nor will it appear in organic search results. So nobody will download your app simply because they do not know it exists. Deep linking enables search engine crawlers to discover more about your app content so that it appears in a broader range of searches. This will increase your visibility and give users a good idea of what type of content they can expect to find on an app. Now here’s where it gets a little tricky. There are two types of deep linking; traditional and contextual. Traditional deep links do not appear in search results unless the user already has the app downloaded to their device – which defeats the purpose of indexing. However, developers have now figured a way of including contextual links whereby the app does appear in search results regardless of whether or not end-users have it installed on their mobile. This therefore increases your chances of being discovered. Furthermore, you can also allow users to access content from the search results without downloading your app. Which is where you need to make decisions. Do you offer try-before-you-buy terms or direct prospects to a landing page to whet their appetite and encourage them to install your app. Before building an app bear in mind how apps are ranked. They will soon be tested on how often users log into your apps. You therefore need to ensure your app has high-user interest and offers something on a regular basis. To give you some insight, statistics show that lifestyle and shopping apps enjoyed a 174% growth in 2014 and are likely to continue exponential trending in the coming years. Think convenience, ease of use, every day use and your apps can boost conversions. Mobile apps are an integral part of digital marketing and are proving to be essential tools in numerous ways. However, there are pitfalls. Targeting prospects through handheld devices requires careful thought and understanding. Your message requires a personal touch and sensitivity to how the receiver will feel. One mistake and you could lose a customer forever. The mobile app arena is therefore a delicate stomping ground for marketers. Here are a few things to avoid. Mobile marketing is a different ball game to desktop marketing. What you need to remember is the size of the screen users will be viewing your campaign on. Therefore the content should be appropriate for the screen size. The app should also function easily on a handheld. If users have to scroll through content or it is not obvious what the next move is, they will give up and move on. The key to mobile content is to focus on the important elements of your message. If you do that effectively then marketing apps are a blessing. Keep it sweet and simple. One of the key advantages mobile apps can give marketers, is the ability to target specific customers with a personal message. Furthermore, the data digital marketing allows companies to collect from your customers is invaluable for identifying individuals for specific items. Mobile users are the perfect audience for apps that provide a personal touch. The problem marketers have is sending a personal message on a mass scale. Customising each and every message is time-consuming and costly. If you only target a small group, your ROI suffers. To avoid making costly mistakes, you need to devise a detailed strategy which identifies groups of customers you want to target with a mobile app. It may be that you need to launch more than one message with the app to suit a specific audience, location for example. Alternatively design an app for a specific purpose – when the customer is in-store or in the vicinity for example. Randomly targeting customers that are location based however could cause problems. The marketing landscape restricts marketers from publishing junk mail to random customers so adverts are typically aimed towards customers who have signed up to your brand. However, if you consistently send messages to your customers, they will quickly become annoyed and remove their name from the subscription list. This would particularly be true if you continuously sent a message to a customer every time they walk past your store. Keep your invites and offers to a minimum when targeting specific customers. You will therefore need to program the software to only target customers intermittently. This will vary depending on the marketing campaign. According to a survey conducted by Apptentive, 90% of users that download an app are gone within six months. Therefore, don’t assume your app will have any longevity for any one customer. That doesn’t mean that mobile apps are only useful for one marketing campaign. A successful app can be used multiple times over. However, if you give users a reason to continue using your app, both you and the customer will benefit. Apps typically have a short shelf-life if they are novelty-driven, not very useful or have a gimmick such as a game that is easy to complete. Your app should offer users something of value they want and need to use again. Mobile marketing has the power to engage with customers through interaction. When somebody chooses to download your app on to their mobile phone it is a personal choice you need to be sensitive to. This also gives you the opportunity to engage with your customers in a two-way communication. This step of the marketing process should be undertaken as a follow-up to when the customer has downloaded your app. Make your customer feel special. Your app should also give your customers options to get in touch. Maybe they need some advice how to get the most from your app. You may want to invite them to give feedback on your service. Let your customers now that you have an open-door policy and are ready to listen. Mobile apps give marketers a prime opportunity to reach customers on a personal level, thus are an excellent tool for customer loyalty – but only when designed and used effectively. Avoid making common errors and you stand a greater chance of success. If you need some help with mobile search, app optimisation or digital marketing strategy services get in touch.